Today — “Championship Saturday” — the national networks inundate us with NCAA conference championship games. The TV/$- driven games are simply another cheapening and diluting of the regular season and conference play, and yet another tacked-on game belying the limp myth of the scholar-athlete: more missed classes for the collegiate gladiators. The conference title games are meant to clarify and sort out the four-team playoff determining the national championship, itself an uninteresting end to the season: another tacked-on game and TV/$ grab further undermining the limp myth and one more nail-in-the-coffin for the traditional Bowl games, themselves proliferating like locusts into December and January madness. As seen in At Yankee Stadium, Notre Dame avenges 1963 defeat to Syracuse six days after JFK was assassinated, these days I rarely watch college football. 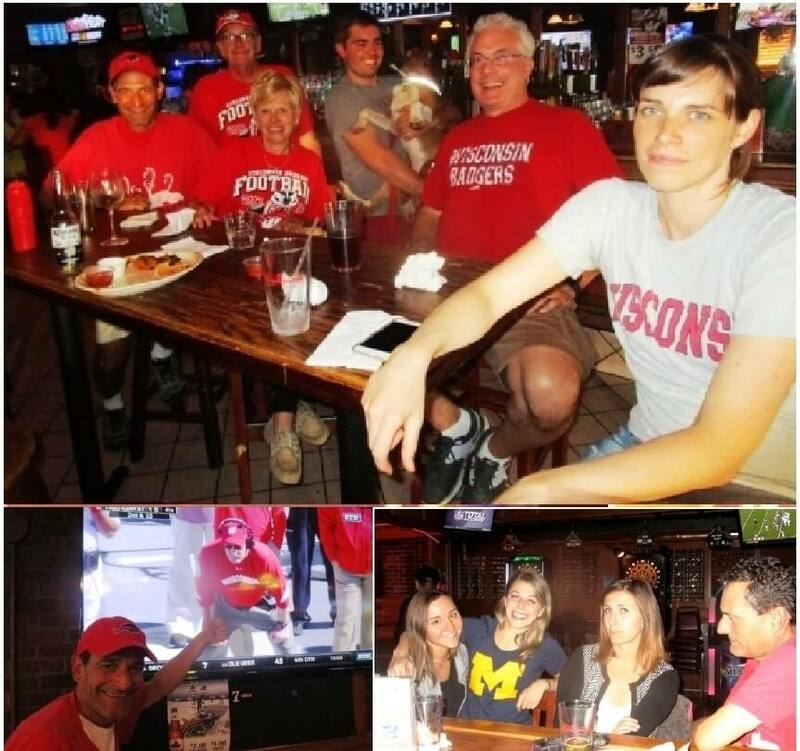 I’ll join my alumni brethren at the Otter if the Wisconsin Badgers are doing well, and the western NY homer in me roots for Syracuse. Actually, I prefer to listen to the ‘Cuse radio broadcasts — the announcers Überhomers themselves — while bicycling on the canal path under bright autumn skies. 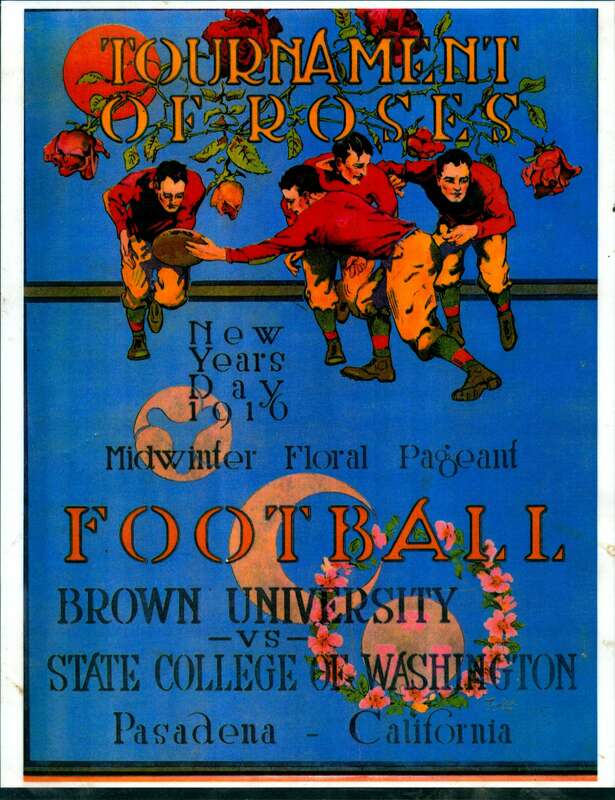 The last time my other school, Brown University, played in a meaningful game, it was a meaningful game, the very first Rose Bowl in 1916. Once, I avidly watched college football. In the good ‘ol days, every New Year’s Day — starting at eleven in the morning — was chocked full with determinative Bowls. Back then — before the Bowl Championship series began in 1998 — no one knew who would emerge as national champion. Unlike today, the #1 ranked team was rarely matched against the #2. If the #1 lost, tied or barely won, the field became wide open. The possibilities were endless. The tension mounted as the six or so games were played, sometimes simultaneously. Even after the final whistle, public opinion was often mixed and heated. Who really was # 1? Drama at its most dramatic. 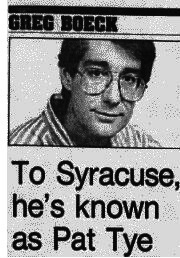 Especially for western and central New York, I think back to New Year’s Day 1988. The # 4 Syracuse Orangemen ran through their schedule undefeated and faced # 6 Auburn in the Sugar Bowl. 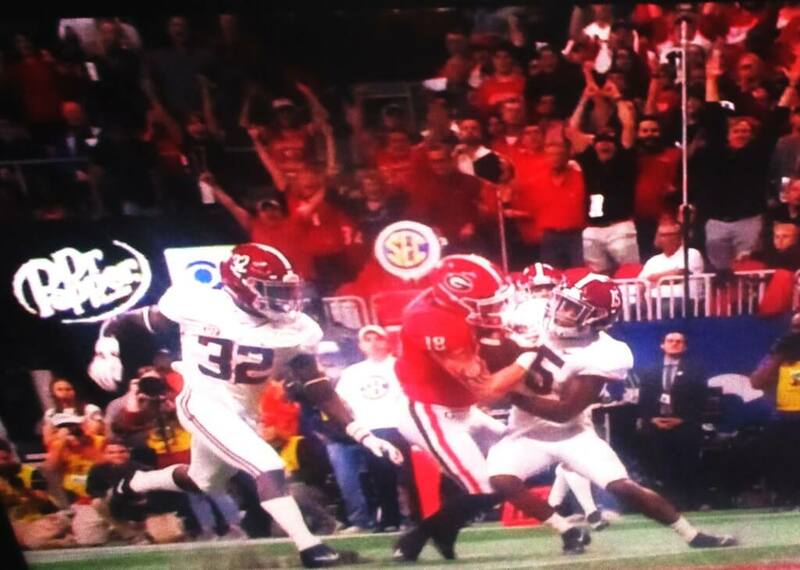 In the waning seconds, Auburn trailed 16 – 13. With one tick left, Auburn’s Coach Pat Dye called for a successful 30 yard field goal, spoiling Syracuse’s hope to possibly leapfrog into the top ranking if the other contenders faltered. Orange fans moaned and a Syracuse radio station actually mailed Dye 2,000 ugly ties which he autographed and auctioned off, raising $30,000 for the Auburn general scholarship fund. Nonetheless, the tie evidences how wild and unpredictable was the New Year’s Day Bowl extravaganza. Even worse, in 1996 the NCAA eliminated ties. 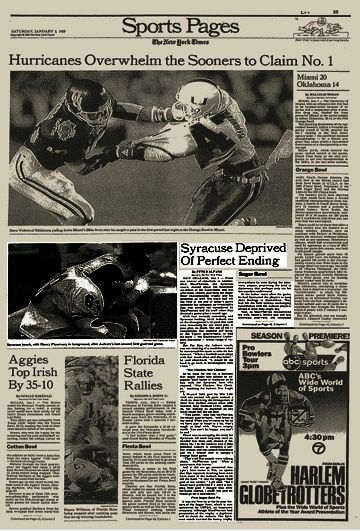 So, the 1988 Sugar Bowl was really one for the ages as there will never again be a Bowl tie — or any tie. Nor will the new year be ushered in with such compressed football excitement. This New Year’s Day 2019, I’ll do something healthy and productive like sledding at Cobb’s Hill. If I were King of the N.F.L. Talker's foreign correspondent in Cambodia and the plaques in the Vietnam Veterans Memorial, Highland Park.